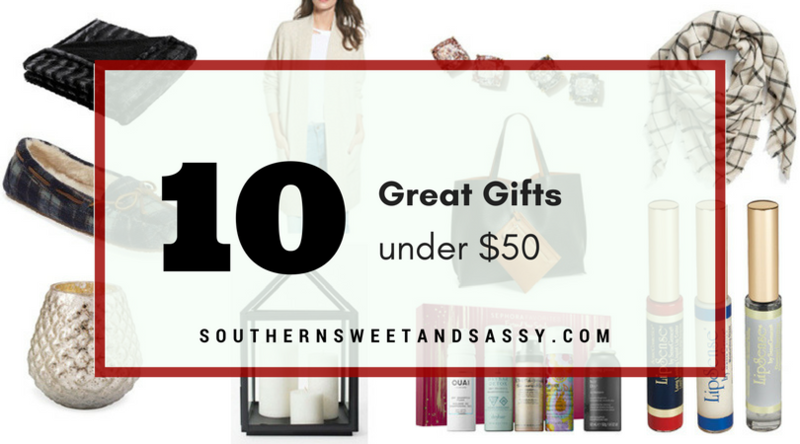 Today I am bringing you my top 10 gift ideas under $50 for the ladies in your life! Your moms, grandmas, sisters, mother-in-laws, and besties all apply to this list. There are A LOT of people to shop for this time of year and money can get kind of tight. I honestly think that putting in the time thinking about who you are gifting for truly means more than the price tag. I was always raised to be grateful for any act of generosity (no matter what) and I hope to raise my kiddos that way too. OK, off my little soapbox and onto our list! (1) Blanket. If you know me at all, you know that I have an obsession with blankets. David rolls his eyes anytime I come home with another blanket, but I can’t help myself! I bought this one a few years back and put it in a Christmas Gift Exchange, but I couldn’t let it get away so I stole it. #sorrynotsorry The unfortunate thing about this blanket now is that I have to share it with my blanket-hogging children. Luke steals them from me and rolls around on them and Ben likes to bite chunks out of the fur. sigh. (3) Cardigan. Everyone needs a good cardigan in their wardrobe. I personally love my oversized one that doubles as a robe most chilly mornings. A lightweight cardi can be thrown on over a tee and jeans or a sleeveless summer dress to extend it into fall. So versatile! (4) Candle. #basic but I don’t care one bit. Mama loves lighting a candle on a cloudy afternoon. Or whenever. The only requirement is that it must not smell like food or I will be ravaging anything in sight. (5) Home Decor. 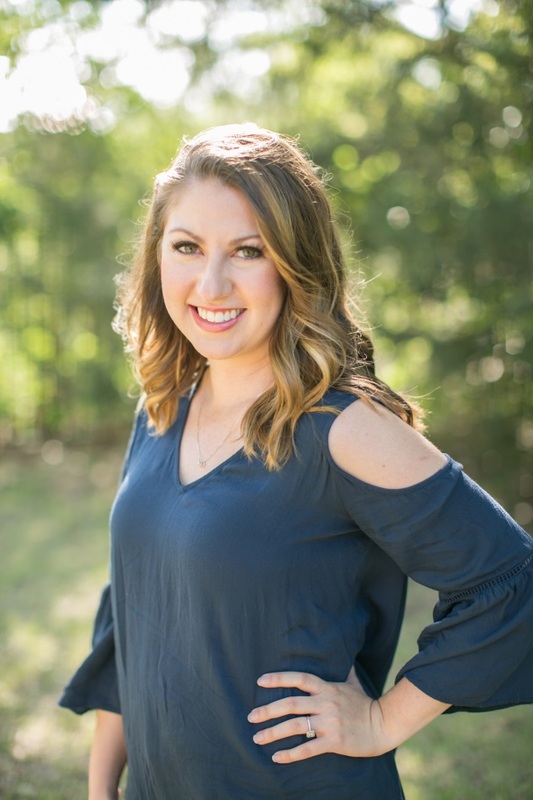 If you have been living under a rock for the past six months, then let me be the first to tell you: Magnolia (from HGTV’s Fixer Upper) and Target have teamed up to bring you Hearth and Home. They have so many items that can work right in with the rest of your decor scheme. I am making room for this and this in my home as we speak…or as you read…. (6) Tote Bag. The ladies in my bible study on Wednesday mornings discussed the importance of tote bags last week (don’t worry, we talked a whole lot about Jesus too!). You need several for different occasions. Everyone needs a great tote bag. This one is reversible and comes with a wristlet too! (7) Beauty Set. This time of year, Sephora comes out with some incredible gift sets. I am a dry shampoo addict at this point and this set includes some of THE BEST ones I have tried. I also love Philosophy’s Purity set for anyone! (8) LipSense. You didn’t think I would go through the holiday season without mentioning this, right? I have been a distributor for almost a year now and I am still just as obsessed with it. It is kiss proof, waterproof lip color that does not budge all day long. You can read all about it here. A starter kit includes a LipSense color, Glossy Gloss and Remover and it is normally $55. For my readers only, if you order a starter kit and use the code GIFT when ordering, you get $5 off! Be sure you are a member of my VIP group to shop all colors, and order here. (9) Slippers. Comfy, cozy and something most people won’t buy for themselves…because they will keep wearing their worn out ones for years…am I the only one guilty of that? These are dreamy!! I can definitely see myself wearing these constantly! (10) Jewelry. A simple necklace, bangle bracelet or some stud earrings are great gifts! I have been eyeing a personalized necklace with the boy’s initials for a while now. Personalized is a great touch! Just be sure to allow enough time for processing and shipping. There you have it! Thanks for reading. I would love to hear which items you would love to receive this year…or what you would add to this list! Be sure to pin this to Pinterest for future reference!